Kate Wood with the mural. Photo credit: Thomas Winter. 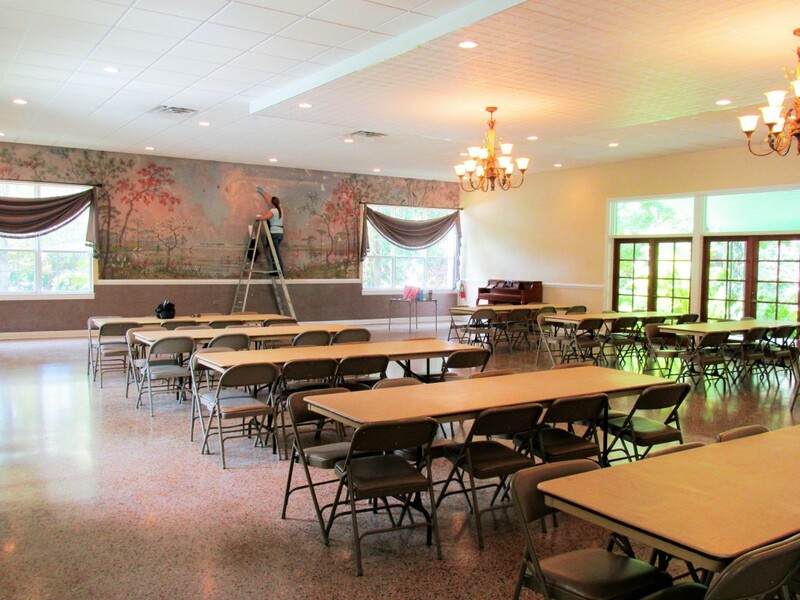 In the spring of 2015, Alchemy Fine Art Restorers conserved an historically important mural at the Woman’s Club of Stuart. Painted by Joy Postle in 1962, the vibrant work suffered from discoloration and paint loss. As a focal point of the Banyan Room, a meeting space for Martin County, Florida residents, it was vital that this work be restored to its former glory. Kate Wood, Alchemy’s lead restorer, knew the work would be arduous, but rewarding. Cleaning and restoring this massive work required standing on a ladder for hours at a time across several days. Much of Kate’s initial effort went to cleaning the entire mural. After that, Kate restored areas of paint loss. As always, Kate used modern, reversible techniques for all restoration. Details from Kate Wood’s restoration, along with some background about the artist and links to further resources are presented below. 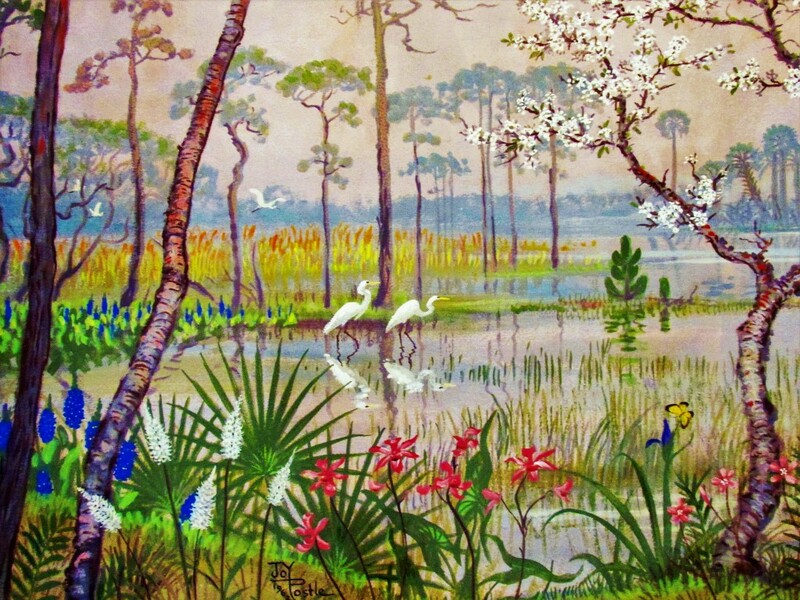 Joy Postle painted the natural beauty of Florida. 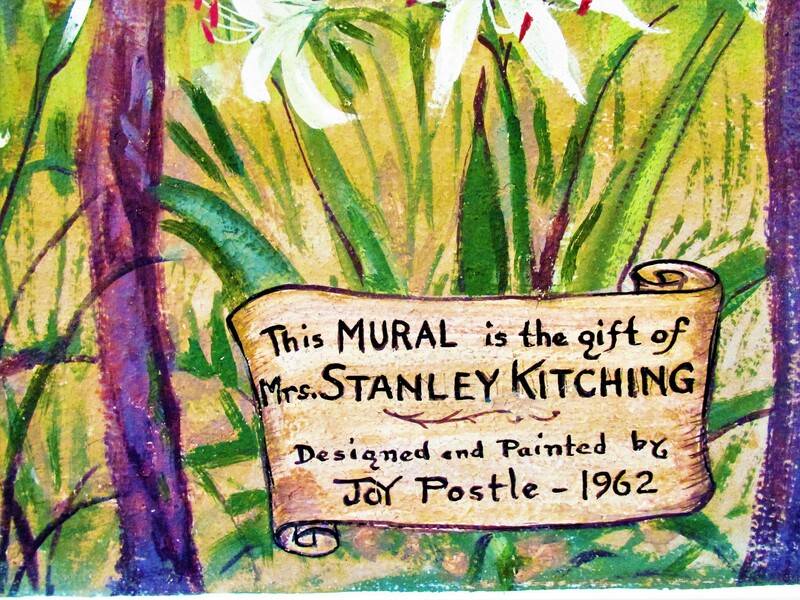 The mural was created by Florida nature artist Joy Postle (1896-1989). Born and raised in Chicago, Joy attended the Art Institute of Chicago. 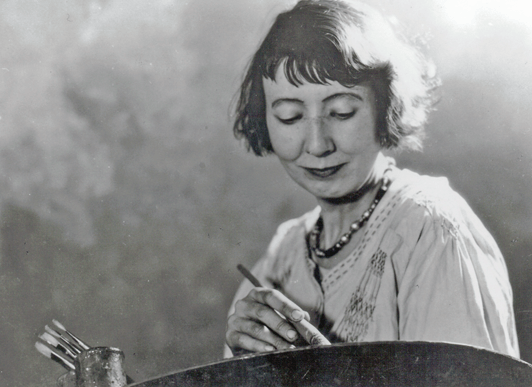 Along with her journalist husband (Robert Blackstone), Joy Postle arrived in Florida in 1934 after a period of traveling around the United States in a home-made trailer. 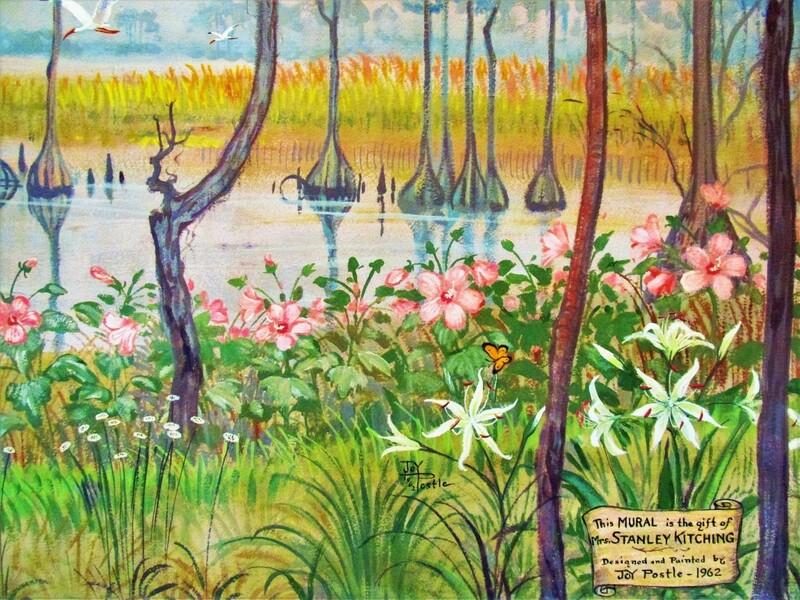 The two camped all over Florida, which inspired Postle to paint scenes from nature. In 1937, Postle joined the WPA Art Project. 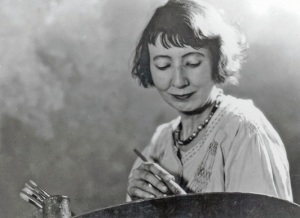 Three years later, she debuted her “Glamour Birds” act in which bird song and music accompanied Postle as she painted birds and educated her audience. Postle and her husband settled in a home and studio on Lake Rose, 20 miles east of Gainesville, in 1942. An exhibit of Joy Postle’s paintings will be presented November 2-30, 2015 at the University of Central Florida’s John C. Hitt Library. A believer in bringing art to the public as a teacher and a performer, Postle also created countless murals for commercial buildings and homes, from Texas to North Carolina and especially in Florida. 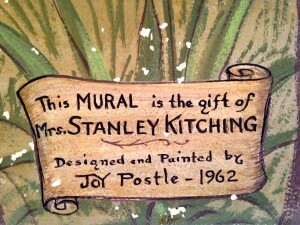 While many are known, surviving murals by Postle continue to be identified and recorded in Central Florida. Areas of paint loss can be seen in this photo of Kate Wood restoring the mural. Detail of cleaned and restored mural. Aside from the changing ownership of these buildings, it’s likely that another reason none of these images are available for viewing today is their physical deterioration. Luckily, the mural at the Woman’s Club has been restored and may be enjoyed by visitors to the Banyan Room for generations to come. A section of the cleaned and restored mural. The artist’s signature is visible at the bottom, just left of center. 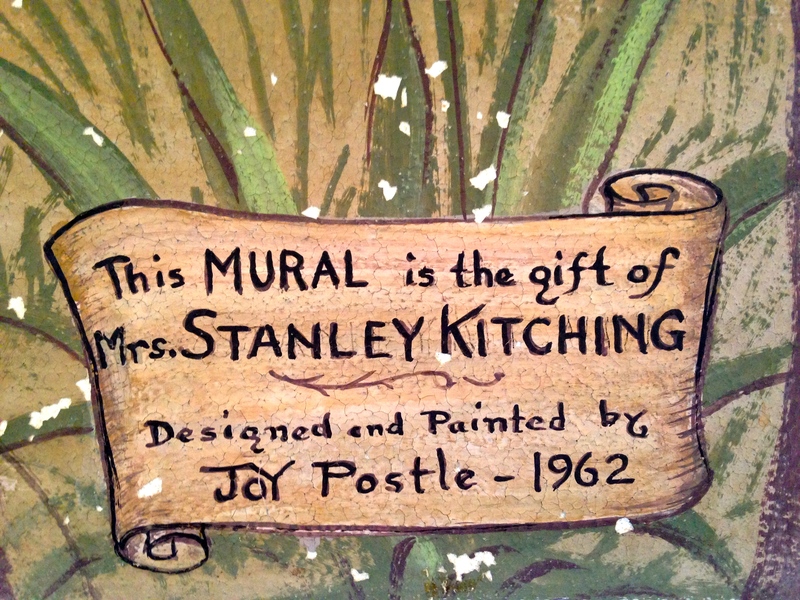 A gallery of Joy Postle paintings is available via the University of Central Florida Libraries. 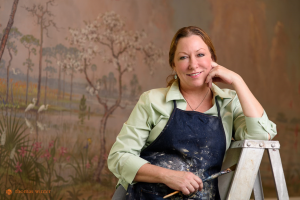 Learn more about Joy Postle at the Florida Fine Art Blog. About the Woman’s Club of Stuart: The Woman’s Club of Stuart is a proud member of the General Federation of Women’s Clubs. The Club is united by a dedication to community improvement through volunteering, raising funds, and reaching out to others while experiencing lifelong learning and friendships for all members. Although there is diversity in the ages, interest, and experiences of the Club’s members, they are united by a common goal to community improvement through volunteer service. With over a century of tradition, the Woman’s Club of Stuart is the oldest organization in Martin County. It’s influence includes providing scholarships to young women from Martin County high schools, helping needy families, supporting academic endeavors, and worthwhile charities enriching the local culture. A detail from Kate Wood’s restoration of Joy Postle’s mural on display at the Woman’s Club of Stuart. 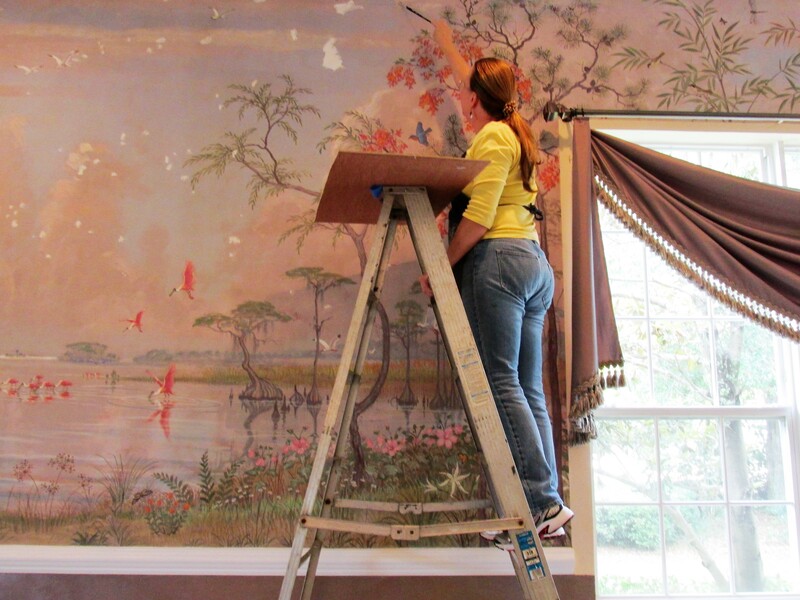 Kate Wood of Alchemy Fine Art Restorers cleans a mural located in the Woman’s Club of Stuart.